Koei Tecmo will launch Atelier Firis: The Alchemist and the Mysterious Journey both physically and digitally for PlayStation 4 and digitally for PlayStation Vita in North America and Europe in spring 2017. A PC version is also coming via Steam, for which details will release at a later date. Related reading: You can read Matt's review of Atelier Sophie here. The 18th Atelier game and second entry in the ‘Mysterious’ series takes place after the events of Atelier Sophie and follows the adventures of the enthusiastic Firis Mistlud and her older sister Liane. The Mistlud sisters have lived their entire lives in the isolated town of Ertona, where Firis uses her unique ability to see where crystals of materials are buried. Firis learns of the Alchemy Exam and decides to take her first step into the outside world, setting off on a grand journey. The game world is vast, covering locations up to ten times the size of those featured in Atelier Sophie. After passing the Alchemy exam, players are able to follow three different paths that focus on the three key aspects of the Atelier series – alchemy, combat and character relationships. Choice plays a major role in the events throughout the game, with the ability to switch between the three narrative paths at any point during Firis's adventure. Graphics and design look as gorgeous as in Atelier Sophie, with a clear stylistic connection, making this yet another much anticipated JRPG release for 2017. 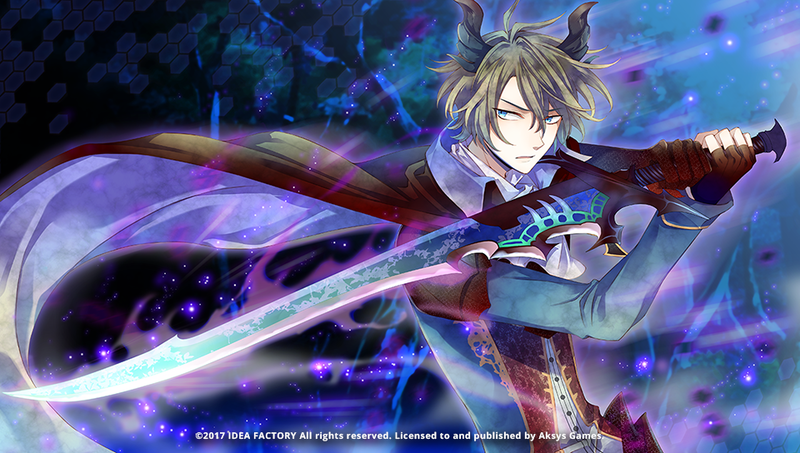 Aksys Games will bring the otome visual novel Period: Cube – Shackles of Amadeus for PlayStation Vita to North America and Europe in spring 2017 as a joint release with Idea Factory. The story treads a well worn path in the footsteps of .hack and Sword Art Online, with the protagonist trapped in the virtual world of an online RPG called 'Arcadia', hoping to find his/her older brother who disappeared under mysterious circumstances. The only way to escape this world is to clear the game. As the game world crumbles and falls apart, your survival rests on your growing skills and powers. Period: Cube provides a branching narrative with multiple endings and 30+ hours of gameplay. The few appealing screenshots available so far have whetted our appetite, despite the very derivative narrative outline. Nexon's MapleStory is one of the longest-running MMORPGs out there, so it's genuinely good to see that it's still getting major content updates. The latest update has a class-wide 5th Job advancement, which will not mean a whole lot to non-'Maplers', but it is a big deal for veterans, which will add a great deal of content to the game. In addition to that there will be three more areas to explore - each with their own unique storyline - and a major new boss; Lucid: Master of Nightmares. Beginning November 30, Maplers will also be able to participate in a limited-time training program, through which new characters will level up really quickly, all the way to level 130, and then earn special prized for each ten levels thereafter, with the ultiomat prize coming at level 200. They will then be ready to earn the 5th Job. Nexon is calling this its biggest update in a decade, showing that the publisher sees plenty of life in its key franchise yet. Many years ago, digital CCG, Infinity Wars entered an open beta, and we played around with it a bit and thought it had a great deal of potential. Aussie-developed, it offered a good base card game, and had the unique hook that the art work on each card was fully animated - that's certainly something that physical CCGs like Magic the Gathering can't do. Related reading: Here's Matt's preview of the beta, from 2013. Now, finally, the game is leaving beta and going into a full release. On December 13 players will be able to get hooked in all over again, confident that, finally, they're playing the full vision of the developers. At launch there will be over 800 cards to collect, and while the game will be free to play, you will, of course, be able to speed up the collection of all those cards buy purchasing some in-game card packs.